Editorial – Mid-Winter 2019 ‘ Peri-, meno- & post-pause | Clever H. - the Mag! Welcome to this issue of CLEVER H. – the Mag! This time we are featuring a diverse range of articles on the stages, and complaints of Menopause. Quite interestingly, while researching the topic, I was reminder to be more diligent and to avoid the mistake of creating ‘drawers’ containing groups of remedies for specific complaints, while excluding others from them. 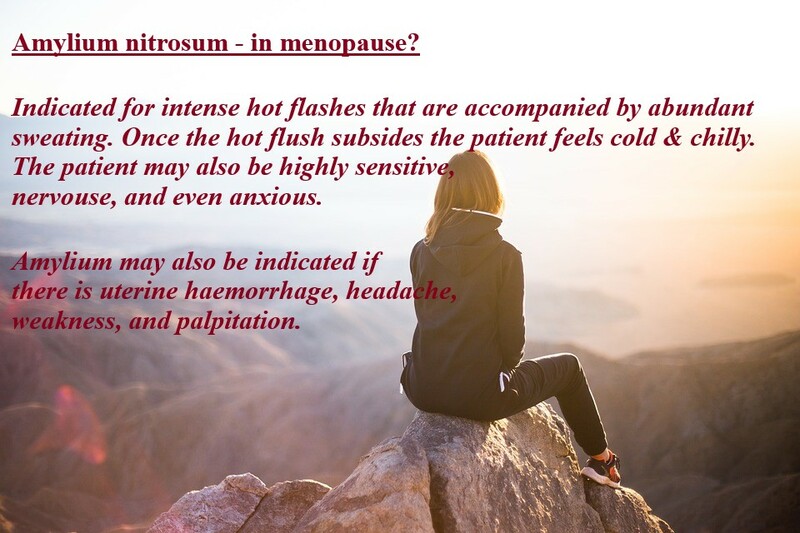 I had been somewhat surprised to find the homeopathic remedy Amylium nitrosum indicated as a useful ally for complaints related to the menopause. I had previously always associated this remedy mainly with venous and cardiac issues, failing to associate it with, indeed, the complaints concomitant to menopause. It’s action radius fits symptoms that undoubtedly can frequently be seen in our practices. 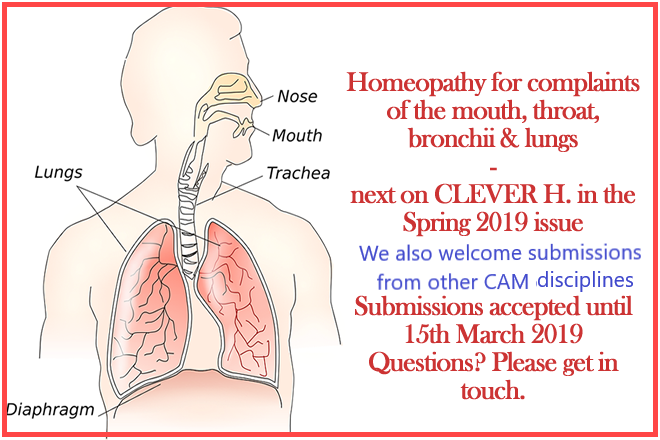 For the coming issue the featured topic is: ‘Homeopathy for complaints of the mouth, throat, bronchii & lungs’. If you would like to share an experience, case, insights or other type of information related to this topic, please feel free to get in touch and forward your submission. Deadline is 15th of March 2019. I am a homeopath, a freelancer, a blogger, a writer, a researcher, a student and lifelong learner. I am also an artist, and a traveler. I am a citizen of the world, a crab, born in June.